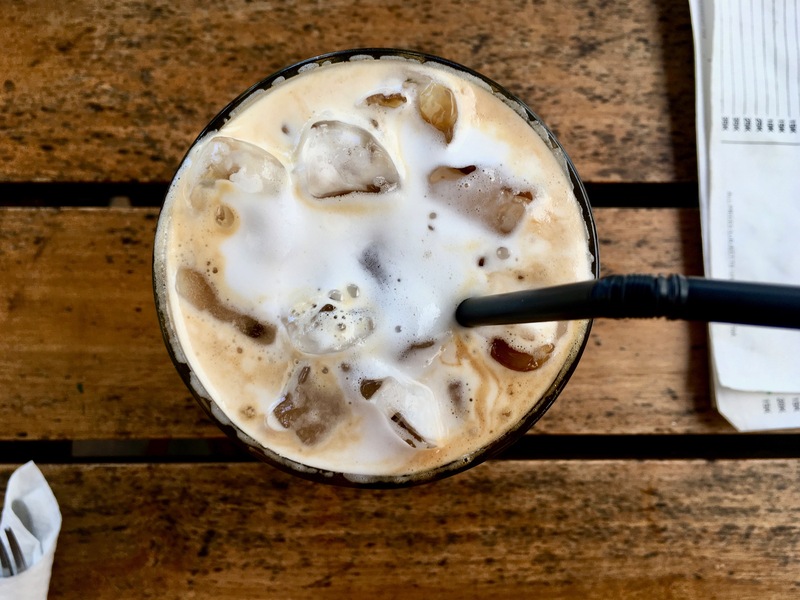 Finding great cafes in Bali isn’t tough, but finding one that ticks all the boxes you’re looking for can be. I may not have found ‘the perfect one’, but I got pretty close. I tried to avoid the big names everyone talks about because I’m not really a huge fan of crowds. Of course, I may have missed out a bit, but I was very pleased with my choice of smaller cafes and off-the-beaten-path spots. Most of these I spent some time working at, others I just really liked for food, drinks, or vibes! To read more about my experience and why I didn’t fall in love with Bali, check out this post. I found this spot when I first got to Uluwatu and only my 2nd day in Bali. Petjatu is a few km from the beaches on the peninsula, and there isn’t a whole lot there. With the exception of men who like to get their cameras out as you walk by. Foreshadowing? I went out exploring and nearly turned around just before I found this place. I’m so glad I didn’t. You can get some simple food and a decent cup of coffee in this cute little artistic café. The wifi isn’t worth noting, but grab a book and enjoy some decent aircon. I got lucky with this place, as it was right out front of my homestay once I moved from Petjatu. This place is quite large, all open air, and you’ll probably find a local pup milling about. They have great Indonesian pancakes (get the banana ones!) and lots of smoothie options, but the menu is huge in general. 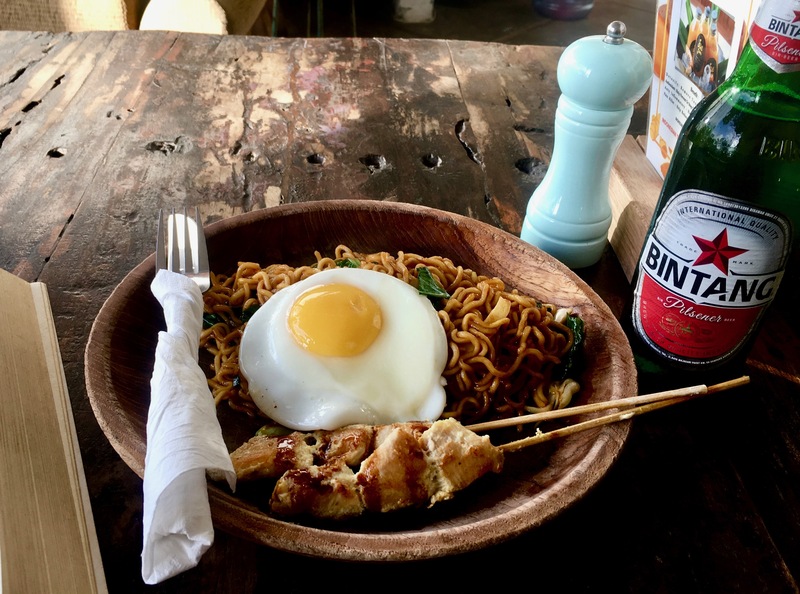 As it gets later in the day, stop by for some Mei Goreng and an always cold Bintang. Or Two. 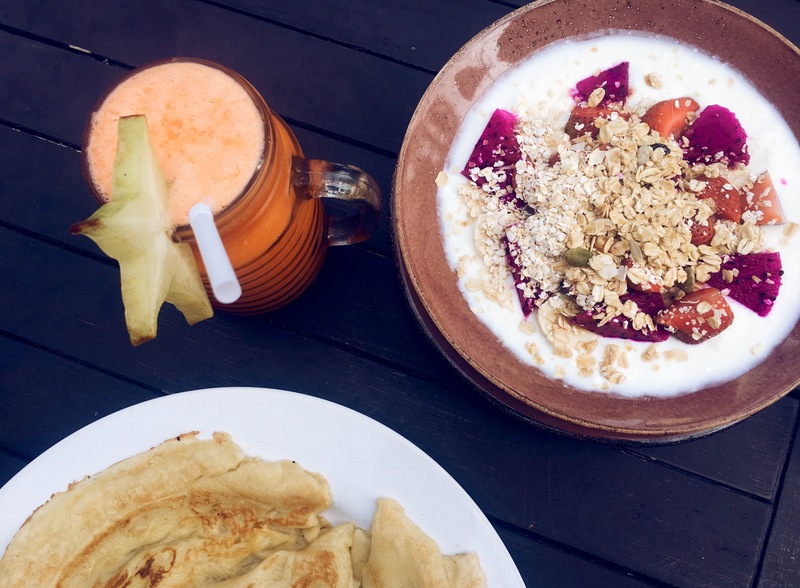 Ulu Resto’s pancakes, smoothie bowl, and fruit juice. 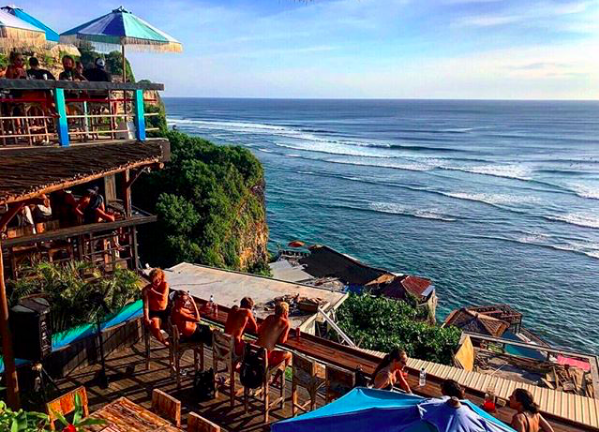 Single Fin will pop up on all of your ‘What to do in Uluwatu’ lists. Its perched at the top of the cliffside town and right in the middle of the action. 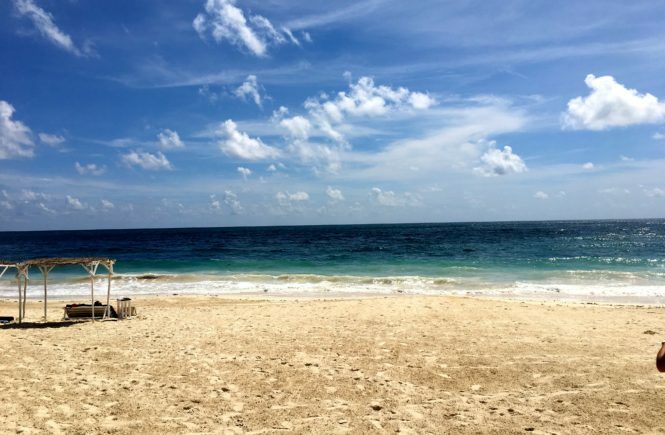 Grab a margarita and watch the surfers catch some waves. Be sure to get to this spot (or any spot with a view) early if you’re trying to catch the sunset, as it gets absolutely packed. 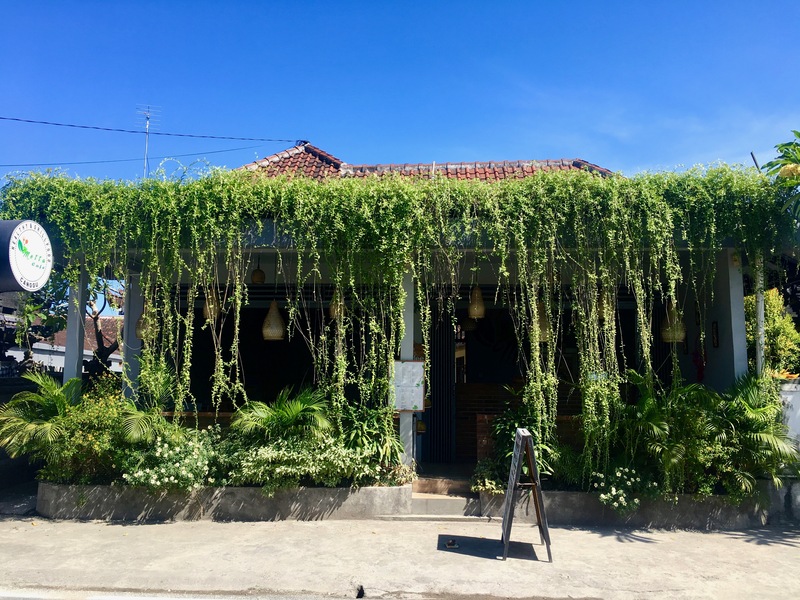 This open-air café may not have a great wifi connection, but it is one of the few places in Bali that will actually take your debit card and not just cash. Via the Single Fin Instagram page. This trendy spot will also pop up on many of your ‘what to do in Canggu’ lists. I stopped in here several times, and while I only worked from this café once, the wifi was reliable. They have top-notch sandwiches and coffee, plus a full menu of smoothies and other healthy options. Smack in the middle of it all on Pantai Batu Bolong, it’s a great spot to kick back and watch the world go by. Update: I just found out this place has closed down, and I am heartbroken. Amazing sandwich and smoothie at Little Flinders. Up a bit from Little Flinders, this quiet little local joint is perfect. Many of the more trendy western cafes will come with a slightly higher price point, but Roti offers Mei Goreng and Nasi Goreng for a steal at 25k (~$2USD). The food was good and the vibe was chill, plus its right next door to the Love Anchor market, in case you need to do any shopping. Mei Goreng and a Bintang at Roti. 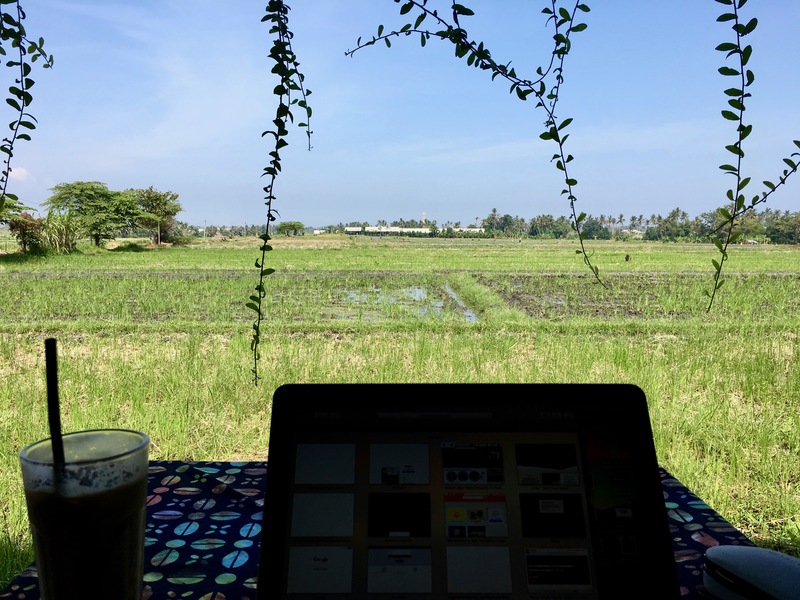 This was my staple workplace during my first week in Canggu. Just across the street from my accommodation, Metta has really reliable wifi and is never packed, so you don’t have to worry about sharing bandwidth. It is open air and doesn’t have plugins, so come prepared! I drank mostly coffee here, but the small bites I had were good as well. Metta Cafe from the outside. My 2nd favorite pancakes in all of Bali were served here. As opposed to the traditional pancakes I had in Uluwatu, these were decadent and delicious. They have great coffee and a wide variety of smoothies and tonics. The wifi will get you through but head across the street to Metta if you need to buckle down. Koi is small and cute, and I loved everything I got from here. 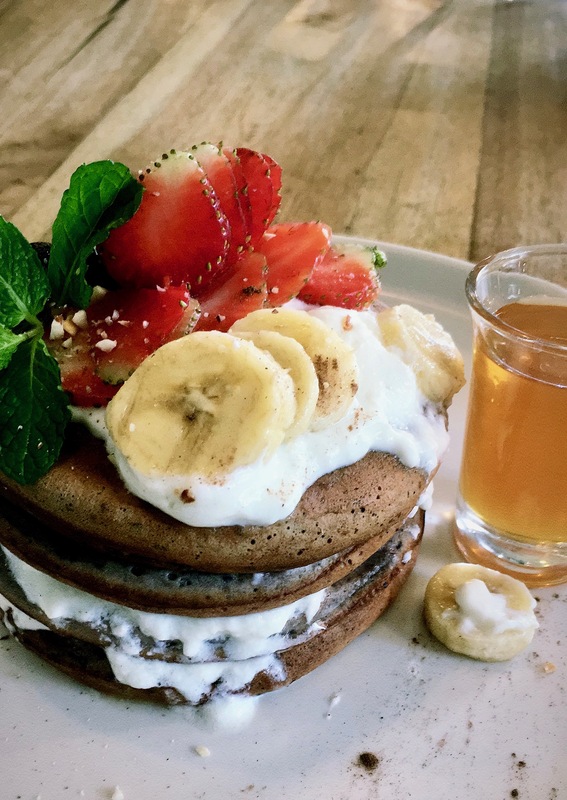 The pancakes at Koi are what dreams are made of. While I was never the biggest fan of the food here, this new coffee shop was a lifesaver when I lived outside Canggu. A quick 4-minute scooter ride from my place, this little shop had just opened up. They had great baked goods and coffee, plus really reliable wifi and lovely staff. The interior had air con while the back patio was open air with open views of the rice fields. Not a bad view from Karma Coffee. Other Favorite Canggu Spots: Monsieur Spoon (baguettes and pastry), Betelnut (for brunch), and Bro Resto (French & Chinese Fusion). I accidentally stumbled upon this place within my first few days in Ubud. They have a wide variety of baked goods, plus a full food and drink menu. The wifi is ultra-reliable and you won’t get hassled about working for a few hours at a time. There is an aircon workspace downstairs plus an upstairs that bodes both aircon and an open-air section. An Iced Latte was my standard drink at Kakiang. Habitat is one of the cafes that will pop up on most lists. Its right below one the of biggest co-working spaces in Bali and has rock solid wifi. Its right across the street from the entrance of the Monkey Forest, so you’ll get lots of them running around outside. I did like this place quite a bit, but the price was a little high for me on a regular basis. I’d also say that you’ll probably feel a bit pressured if you’re spending more than an hour or so there, as it is a rather busy spot. You will pay more here, but it’s absolutely worth it. 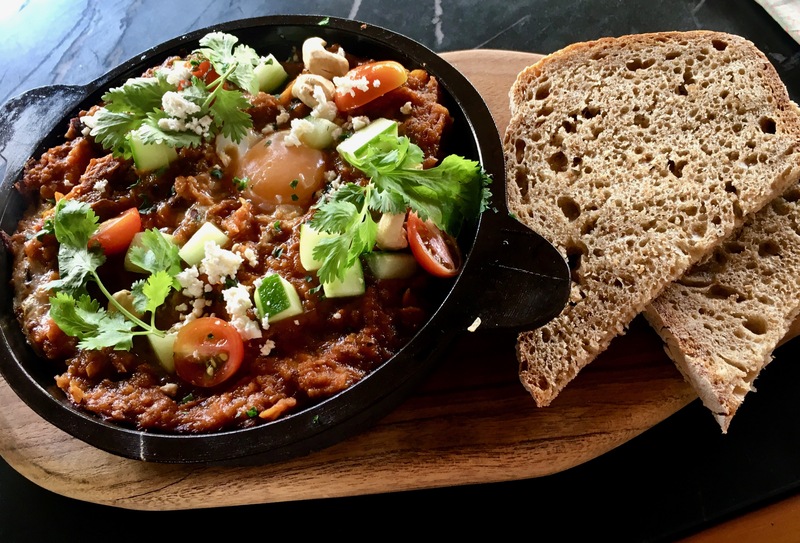 All the food I had here was absolutely incredible, with my favorite thing being the Shakshuka. Plus, this was maybe the best coffee in Bali. 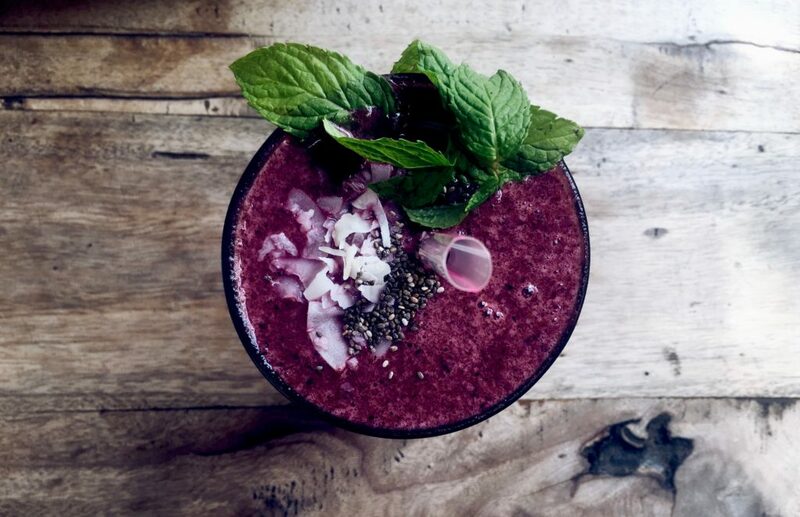 They’ve got killer smoothies and a whole menu of juices and health tonics. It’s also veggie and vegan-friendly. There is plenty of space on the ground level, but head upstairs for a view of the park and settle in. I’ll dream about this meal at Wamm. 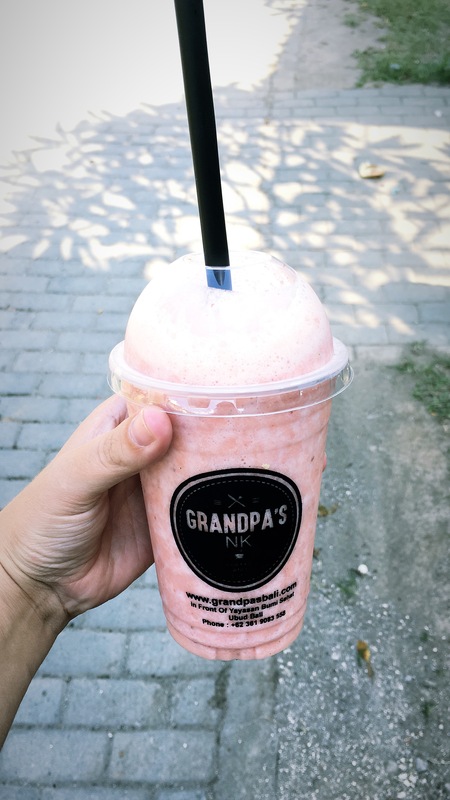 There is a Grandpa’s located in Canggu as well, but I only made it to this one in Ubud. Its tucked back away on the South side of the Monkey Forest, just up from Wamm. The wifi isn’t great and I wasn’t wild about the food, but I frequented this spot for my (more affordable) smoothie fix. They’ve got a full menu and I liked every single one of them I got. Plus it’s off the road a bit, so grab a book and enjoy a break from the hustle and bustle of Ubud. Grandpa’s Strawberry Banana smoothie to-go, please! This spot will pull up as one of the many coworking spaces in Bali. However, you can go and work in their open café area without being a member. The wifi is reliable but it is all open air, so keep that in mind. The menu isn’t huge but has a little something for everyone. The Onion Collective is set off the main road so it doesn’t get too loud, and they also offer accommodation. Via The Onion Collective website. Other Favorite Ubud Spots: Warung Biah Biah and Warung Coconuts (both staples in my Ubud diet), and Laughing Buddha (for a Fri/Sat night out). Cafes in Bali, in my experience, have been awesome overall. You have to remember that this island is undergoing rapid change and Westernization. Enjoy your trendy cafes, but make sure to support the local warungs too! 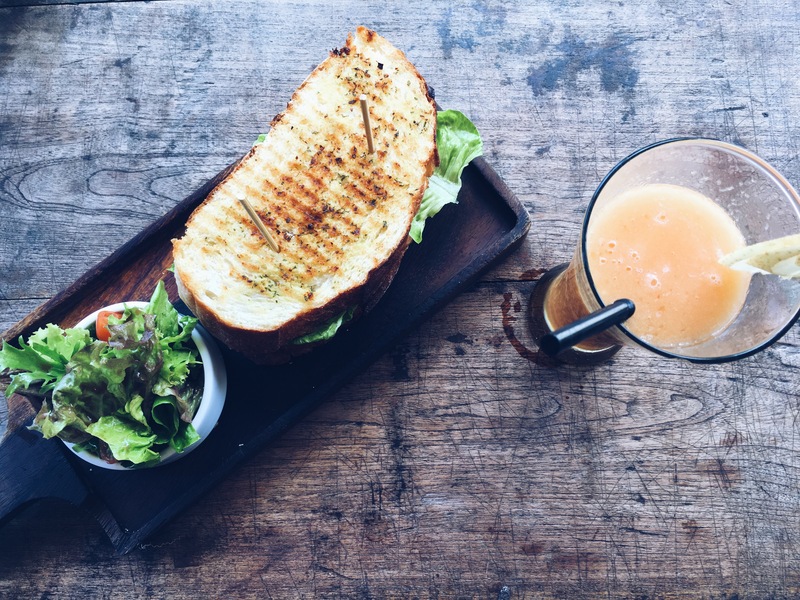 I’m not sure why but t I always love post about cafes in Bali they all look so adorable and the food so delicious and refreshing. That and the gorgeous views they also offer. Those cafes are no exceptions they all look so lovely and sound amazing! Knowing the good places to find food is so important when visiting a new place! 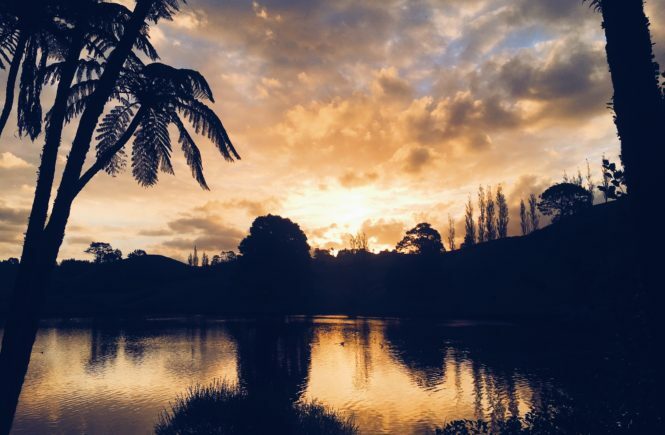 All of these places sound fabulous, and your pictures have been drooling. I’d definitely want to check out Single Fin for that view! This is a highly descriptive post! Your pictures are making me feel like eating all of that right now! Omg all the delicious looking food has me drooling on my laptop. How come all these cafes in Bali have amazing food when in the U.S. all you can get by way of food at cafes are croissants and plain bagels? I was also surprised that almost all of these cafes have impeccable views! I especially love that dramatic cliff at Single Fin, and as someone who works from my laptop, I would LOVE to spend a few hours doing work there. 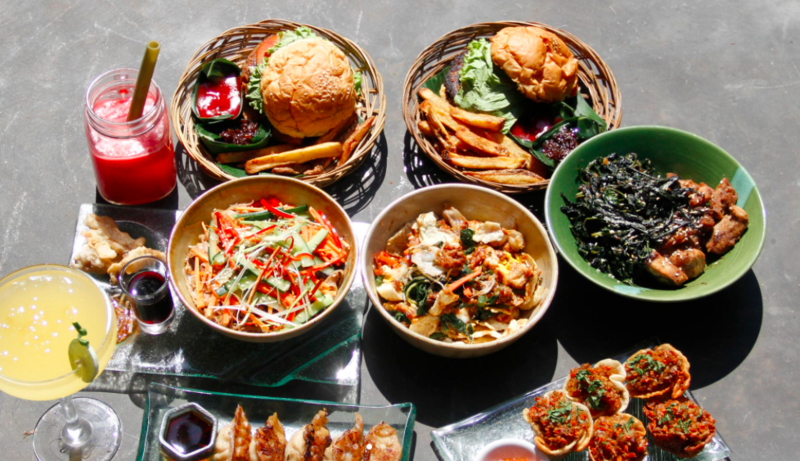 Wow these pictures made me officially hungry even though I just had my dinner..ha ha 😀 I always look for good places to eat while planning my trip & am hoping to visit Bali next year so this guide is going to be very useful. Thanks for your recommendations. I love Bali, it is such a magical place. I have been living in Ubud during some time but haven’t seen much of the island. 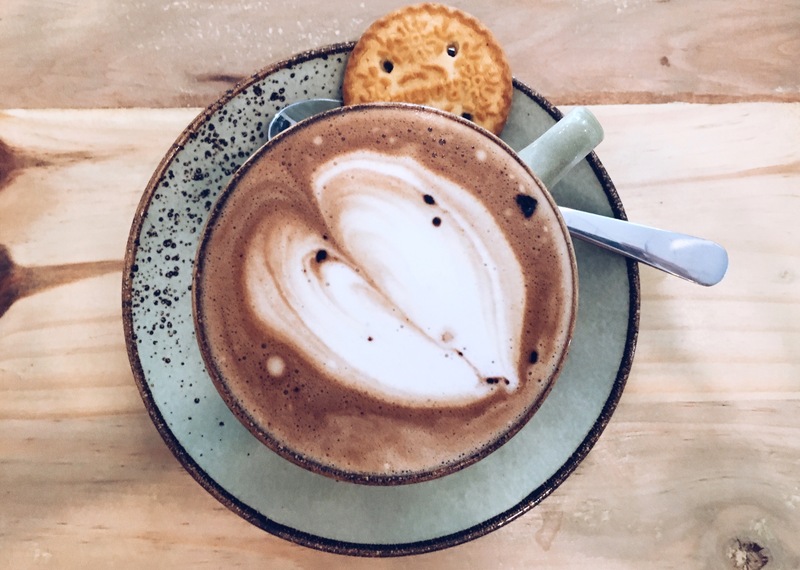 These cafes sound amazing, I am adding them to my list to make sure I’ll visit every single one next time I go! Can I please have those pancakes at Koi? Where they chocolate pancakes? Thanks for sharing all the places, I have already saved them for my future trip to Bali!